Guitarist and backing vocalist best known as a founding member of the French pop-rock act Phoenix. With the band, with he has played Saturday Night Live, headlined the Coachella Valley Music and Arts Festival and won critical acclaim for releases like Wolfgang Amadeus Phoenix (2009). In the early 90s, he played guitar in the band Darlin', which featured Thomas Bangalter and Guy-Manuel De Homem Christo of Daft Punk fame. His band won the Grammy for Best Alternative Music Album for Wolfgang Amadeus Phoenix. His younger brother Christian Mazzalai has also played guitar in Phoenix. 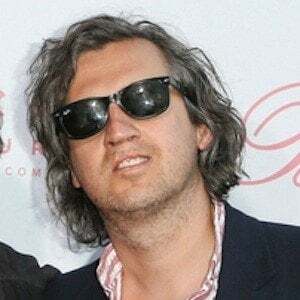 He co-founded Phoenix with Thomas Mars in 1999.